Soil Engineering Testing Has Moved! 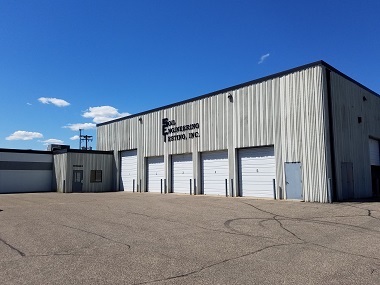 We are excited to announce that our location has moved to Bloomington Minnesota. The new address of our laboratory is 9530 James Avenue South, Bloomington, MN 55431. SET is a soil mechanics laboratory testing firm. We are owned and operated by an engineer, paraprofessional engineers and certified technicians. We have a combined engineering and soil testing experience of over 125 years. SET's primary function is laboratory soils testing for geotechnical engineering consultants, civil and environmental consultants, government agencies, contractors, and private firms. We have done a considerable amount of strength testing(triaxial, dss, etc.) for the mining industry as well as testing for wind and solar sites across the country. The projects we have worked on have involved an extensive use of the SHANSEP method on fine tailings. For all our projects we provide quality geotechnical lab testing in a timely manner. Our projects extend far from our home in Minnesota. We have an extensive working experience with a variety of soils from the following states and countries: AL, AK, AZ, AR, CA, CO, FL, GA, ID, IL, IA, KS, KY, LA, ME, MD, MA, MI, MN, MS, MO, MT, NE, NV, NH, NJ, NM, NY, NC, ND, OH, OK, OR, PA, PR, RI, SC, SD, TN, TX, UT, VT, VA, WA, WV, WI, WY; We've also done work with Canadian soils.